and BETTER VALUE than any Day Care Program! I am worried sick about the future of our children (as I hope you are), and I have made it my career and my passion to do something about it. You know, children are like sponges – they learn all the time . . . and sometimes they learn things we’d rather they didn’t. Of course they learn the Three “R’s” of reading, writing, and arithmetic at school, but what about after school? Do you worry about the garbage your children are learning from the other kids when the teacher’s back is turned? Day care programs and after school “activities” will BABYSIT your children, but do they actually TEACH anything? Most children just waste the time watching television, playing video games, or – what bothers me the most — picking up bad habits from the other children. What kind of future can you expect for your child in that environment? I’m very PROUD to say that HUNDREDS of parents and families in the Winter Haven area are sharing the “best kept secret” for character education by telling their closest friends about after school Karate. In our innovative after school Karate program, children become part of our proven character development system that is LIKE NO OTHER. 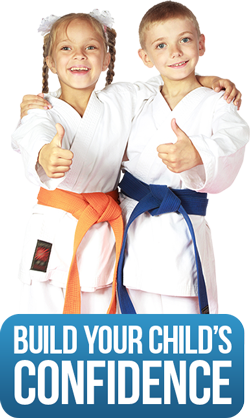 The kids actually ENJOY learning discipline, respect, and cooperation as part of learning AWESOME martial arts skills. I know it sounds hard to believe, but our kids actually love it! They not only have found a program they don’t want to quit, they actually get upset if you take them out of class early one day! 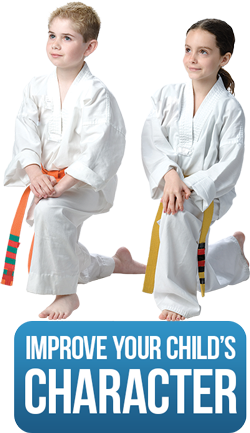 The Bushikan Karate innovative after school Karate program is a safe place – your children will be PROTECTED from the kind of bad influences they might get in other places that can get them into trouble now, and may even ruin their future. I’d like to show YOU how you and your child can experience all of this, and more. . . with NO RISK ! I know it’s tough being a working parent, especially if you are single. After work there just isn’t much time to teach your child how to make the right choices, and it’s especially tough to play both mother and father. parents tell us that our instructors become like “superheroes” to their children, providing them with the positive role models they truly need to accomplish their goals, and live a clean, happy, healthy lifestyle. Is your child sometimes disrespectful? Our innovative Karate program teaches respect for all adults, but especially parents and teachers. Is your child a little too shy? Our after school program builds confidence so that as your child progresses in rank, he or she will learn to speak up and actually become a leader at school or in the neighborhood. Not only that, but the other children in our program are also focused on being positive, enthusiastic, and successful. Your child will get POSITIVE peer pressure! If you’re worried about what your children are learning after school, please take me up on this special offer so I can help you plan a brighter future for them. P.S. Many of our parents get a tax deduction for enrolling their children in our after school martial art program!